Notification with the passing of RNPA member Suzanne Seyfert, widow of NWA Captain Norman Seyfert who passed in July 2003. USAF ret. Lt. Col. Norman C. Seyfert joined Northwest Airlines 05-29-1959. Please see below both obituaries and all available information. Obituary...............Suzanne Elizabeth (Karnstedt) Seyfert, longtime resident of Prior Lake, passed away with her family at her side on Saturday, July 14, 2018, at the age of 81. A visitation will be held Friday, July 20 from 9:30 to 11 a.m. with a funeral at 11 a.m. all at Shepherd of the Lake Lutheran Church, 3611 North Berens Rd NW, Prior Lake. Suzanne will be laid to rest at Fort Snelling National Cemetery. Pastor Dan Poffenberger will preside. Memorials are appreciated and will be distributed by the family to Suzanne's favorite charities. On June 13, 1937, in Duluth, parents, Chalmers and Thelma "Jackie" (Hassel) Karnstedt celebrated the birth of their first daughter, Suzanne. She was the oldest of ten children. Due to her father's job with KSTP, the family moved to South Minneapolis and eventually settled in Edina. From a young age, Suzanne was a motivated individual—she helped raise her younger siblings, worked at numerous jobs, and attended Holy Angels Catholic School. Following her high school graduation, Suzanne attended the University of Minnesota where she earned an Associate Degree. Around this time, she began working for Northwest Airlines as a stewardess. Through her job, Suzanne met a pilot, Norman Seyfert. While on a date, Suzanne was carded, and Norman noticed they had the same birthday (five years apart). The two considered this a sign—they were meant for one another. Norman proposed to Suzanne at the Virginian Supper Club in Prescott, WI. Rather than having a formal wedding, the couple eloped on April 3, 1961 to La Paz, Mexico. In 1969, Suzanne and Norman built a home in Prior Lake where they raised their family. Because Norman traveled often, Suzanne was dedicated to her family. She was the quintessential hockey mom, even helping form the Prior Lake Hockey Association. When Norman was home, they loved cooking together. In her free time, Suzanne enjoyed gardening, canning, sewing, creative needlework and playing the piano. She was an avid bowler and member of the Fort Snelling Officer's Wives Club. As her children grew, Suzanne returned to work. She was a substitute librarian and secretary for the superintendent for School District 719. A devout woman, Suzanne also volunteered for Shepherd of the Lake Lutheran Church. She sewed the church banners and served as the church librarian. Despite suffering from COPD, Suzanne was always active. She was a voracious reader, word smith, and completed crosswords with ease. In recent years, she enjoyed playing Words with Friends. It allowed her to connect with other players across the world. 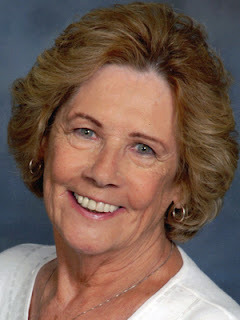 Suzanne was a wise, resilient woman who will be loved and missed by her children, Sara (Arne) Skyberg, Samuel Seyfert, Seth Seyfert; sister, Mary Karnstedt; brothers, John Karnstedt, David Karnstedt, Mark (Sharon) Karnstedt, Paul Karnstedt: many nieces, nephews and other relatives. Suzanne is greeted in Heaven by her husband, Norman; parents, Cal and Jackie; sisters, Katherine Starrett, Deborah Karnstedt; brothers, Peter Karnstedt, James Karnstedt. Arrangements with Ballard-Sunder , Funeral & Cremation, Prior Lake Chapel.